Sen. Elizabeth Warren knows who she is — and doesn’t need a DNA test to prove it. The Massachusetts Democrat appeared to push back on calls in her home state to test whether she’s actually part Native American, a claim President Trump has used against her in recent years. Trump has taken to calling Warren “Pocahontas” as a derogatory term because she claims to have Native American ancestry. The validity of the Oklahoma native’s claims have been questioned since her 2012 U.S. Senate run, and critics has accused her of using it to boost her career. The Berkshire Eagle recently called on Warren to “take the spit test” and resolve the issue once and for all. 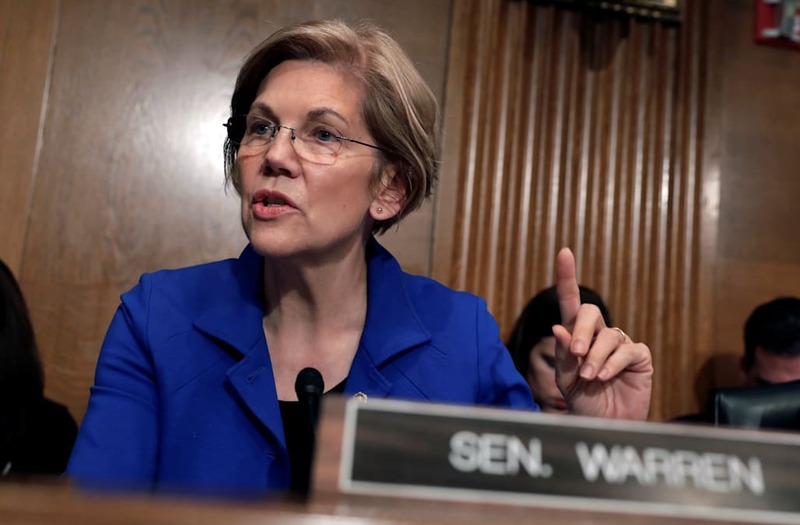 “For these reasons, those who wish her ill will never allow the Native American question to recede; Sen. Warren's potential appeal as a national candidate constitutes too much of a threat,” the western Massachusetts newspaper editorialized. Not doing so will just let Trump continue using the racial slur, the newspaper warned. The President came under fire when he referred to Warren as “Pocahontas” last year during a Navajo war veterans event at the White House. Warren, speaking later on CNN, noted that she spoke to a group of Native Americans last month to say she’d fight for them when Trump uses the slur. The President pulled out the “Pocahontas” moniker Saturday night during a rally in western Pennsylvania, to diminish Warren’s presidential chances in 2020. Warren, speaking Sunday, insisted that she isn’t running for President in two years.